Today, Tuesday 18 May, it was reported that teaching union, NASUWT, criticised the GCSE 9-1 grading reforms. 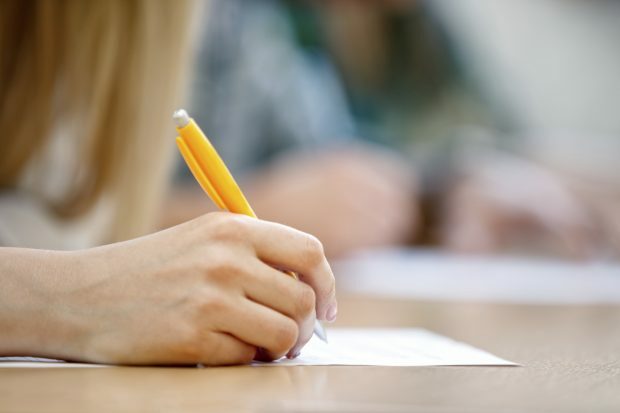 The union said that the new grading system would ‘move the goalposts’ on what is considered to be a ‘good’ pass and that it has caused confusion among parents. This was covered by BBC Online, the Times, Telegraph, Mirror and i Newspaper. We have always been clear that the new GCSEs will provide a greater stretch for the highest performers, by showing greater distinction between the top marks.‎ These changes will also help young people ‎to compete with the best in the world and deliver the skills that employers tell us they need. These changes are driven precisely by the need‎ for high standards for young people in our schools, so that they get the knowledge and skills they need to succeed in life. The new GCSEs will provide more rigorous content and the new grading system provides greater stretch for the highest performers, by showing greater distinction between the top marks.‎ These changes will help young people ‎to compete with the best in the world and deliver the skills that employers tell us they need. Nothing has changed with regard to schools being held to account for the proportion of children achieving a strong pass and we are working with Ofqual ‎to support teachers as we implement the new system. Our Early Implementers have already exceeded targets set, with more than 5,400 places already allocated to working parents. Four more areas will launch the offer later this month. Learnings from these Early Implementers is being shared regularly with all councils ahead of the national roll out in September. In addition, we have doubled our capital investment to £100 million to create nearly 18,000 new childcare places. The Government’s 30 hours childcare offer is already working in towns across the country. We’ve seen great success with our Early Implementers, which surpassed the target of 5,000 places set last year and four more areas will launch the offer later this month. Helping families access affordable childcare is at the heart of this government’s agenda. Following our own survey, most said they would offer 30 hours, even before we introduced the Early Years National Funding Formula which will increase the funding rates for providers in the vast majority of local authorities, part of our record investment of £6 billion per year into the sector.